They may be Kings of the Hill now but in 2001, New England Patriots were barely in the foothills. Glory seemed some way off and when Drew Bledsoe was injured in week 2, it seemed unlikely to happen that season. Step forward sixth-round pick, Tom Brady. 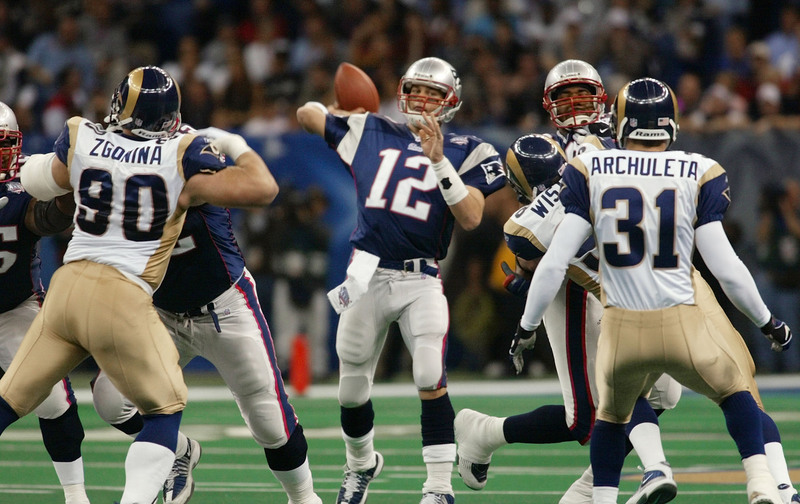 Brady grabbed his chance with both hands, and one hell of a throwing arm. Hailing from Michigan, the rookie quarterback threw, ran and scrambled the Pats into the Super Bowl. Waiting for them were “the Greatest Show on Turf”: Kurt Warner and the St Louis Rams. St Louis were expected to be crowned champions but Brady passed them off the park and New England ascended to the throne. English football had an inflated opinion of itself at the time. 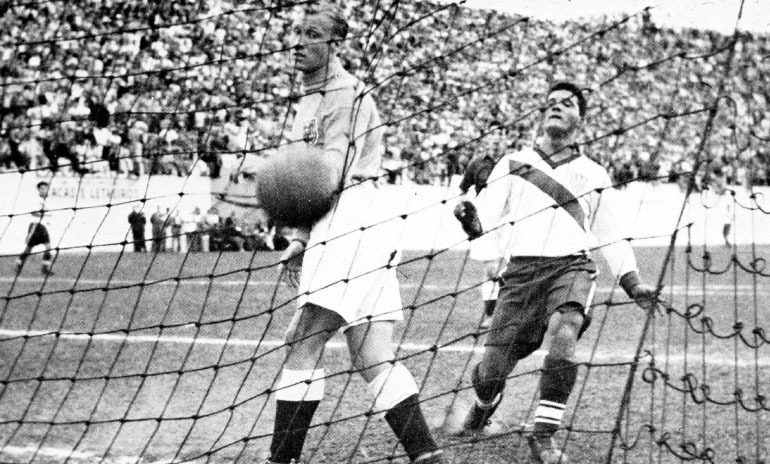 The 1950 World Cup in Brazil came a year after the Three Lions had lost their first home game to foreign opposition. The England team were among the favourites to win the World Cup and with a group involving Spain and the USA, certain to qualify for the final stages. Except no-one told the USA that was the plan. 500/1 to win the game, the Americans went into the fixture on the back of seven straight defeats, conceding 46 and scoring just two. The English team were more likely to die in a car crash, according to research by Betway Insider. England, 3/1 favourites for the tournament itself, were stunned when Joe Gaetjens – for so long called ‘Larry’ in the record books – scored the winner, described by his team-mate Walter Behr as “not a beautiful goal by any means”. But it was one more than arguably one of the finest England sides in history could manage. It sounds like a Disney extravaganza but in 1980, the USA squared off with the USSR in the gold medal match at the Lake Placid Winter Olympics. The Soviets were all-conquering, and the two nations were at the height of the Cold War to add a little extra spice to the occasion. The summer Olympics later that year, held in Moscow, saw mass boycotts by the US and her allies in protest at the Soviet Union invasion of Afghanistan. USSR ice hockey federation chiefs probably wished they had done the same. Gold medal winners in five of the past six Winter Olympics, the Soviets were red hot favourites. The USA was a team drawn from minor leagues and colleges but doing their country proud to be in contention for a medal nonetheless. The USSR led 3 – 2 in the third period but the USA hauled it back to 3 – 3 where Mike Eruzione from Wintrop, Massachusetts, became the unlikeliest of US heroes with the winning goal. Mike Tyson stepped into the ring against James ‘Buster’ Douglas in Tokyo with his WBA, WBC, IBF, The Ring, and lineal heavyweight titles in February 1990 on the line. His record of 37 – 0 underpinned a well-earned reputation as one of boxing’s most ferocious punchers. Douglas, 30 – 4 – 1, was the sacrificial lamb. His last two defeats were at the hands of Jesse Ferguson and Tony Tucker, both of whom had been systematically dismantled by Tyson. Tyson was such an overwhelming favourite with boxing odds that bookmaker Jimmy Vaccaro got barely any interest on Douglas at 42/1. Yet the Tokyo Dome witnessed the unfancied orthodox right-hander push Tyson from the first bell. The champion, sluggish and inconsistent, failed to intimidate his opponent. Despite this, Douglas was caught flush by an uppercut in the 8th and the world waited for the inevitable count out. It never came; Douglas rose on 9 and saw the round out. A round later, it was Tyson crashing to the canvas for the first time in his career. And it showed; stumbling to his feet, he picked up his gumshield and with one end poking out of his mouth, watched dazed as referee Octavio Meyran counted him out. Douglas was an ex-champion by the end of his next bout when Evander Holyfield beat him but for a moment, as Sports Illustrated so eloquently put it, “Rocky Lives!”. 1. The Danes are Coming! The Danes are Coming! Football frequently finds itself impervious to geo-political events but in 1992, UEFA took the step of barring Yugoslavia from the European Championship because of the Balkan Conflict. It was a decision made late in the day. So late that Richard Møller Nielsen pulled his Danish squad off the beaches of the world to make up the numbers at Euro ’92. Denmark were rank outsiders to win the eight-team tournament. But the plucky little Danes took their place and in Malmo on 11th June 1992, kicked off their campaign with a goalless draw against England. Defeat to Sweden three days later seemed destined to send the Danes home with France the opponents in their final game. A 2 – 1 win with madcap striker Lars Elstrup scoring the vital goal sent them into the last four to meet the Netherlands. Peter Schmeichel saved Marco van Basten’s penalty in the shootout after a 2 – 2 draw and it was the only one of the ten missed. The Germans awaited in Gothenburg. John Jensen’s nickname was ‘Faxe’ after the Danish beer. Plenty were sunk when he scored in the 18th minute with Kim Vilfort finishing the job an hour later. 2 – 0 and the impossible dream came true; Denmark were European champions.